In the United States alone, medical implants are a $100 billion business for manufacturers. A wide range of devices are surgically implanted to treat conditions affecting all body systems. As this industry expands into global markets, manufacturers need accurate translations of their documents to ensure these medical implants are used properly and understood completely by both professional medical providers and patients. As a leading U.S.-based medical device translation services provider, International Language Services has been providing professional translations for the full range of documents associated with medical implants since 1982. Cardiovascular Implantable Medical Devices—For passive cardiovascular devices like stents and arterial and venous prosthetics, along with active devices that include implanted pacemakers, defibrillators, and arrhythmia control devices, ILS provides accurate, professionally prepared translations to device manufacturers. We also translate documents associated with mitral valve replacement products and all peripheral technologies associated with cardiovascular devices. Implanted Medication and Drug Delivery Systems—Implanted devices for delivering precise doses of insulin and other medications have improved the quality of life for hundreds of thousands of patients, and this technology is rapidly expanding into global markets. The ILS medical device translation team’s experience with these technologies is your assurance of accurate translation of all associated content, including your industry-specific technical terminology, with your projects delivered on schedule and competitively priced. Implanted Orthopedic Devices—Prosthetic joint replacements, spinal fusion devices, and artificial disc devices, along with a wide range of devices used for traumatic fracture repair, are among the most commonly implanted medical devices. At ILS, our experienced, specialist translators, efficient translation management, and quality assurance processes make us your ideal choice for the technical translations you need. Implanted Neurological Devices—For a number of movement and other disorders, implanted deep brain stimulators are now available from medical device manufacturers. As the market for these devices expands globally, ILS can provide translations and formatting services to meet your needs in 180 languages. Other Implantable Medical Devices—A wide range of other implanted medical devices is also used today in global markets. From IUD contraceptive devices, biologic implants, and mesh support implants to artificial replacement eye lenses and implants used in plastic and reconstructive surgery, all of these devices require that accompanying documentation must be translated accurately. ILS is uniquely qualified to provide those translations to support your global clinical or marketing efforts. For manufacturers of a wide variety of medical devices, including implantable devices, the introduction of new devices and expansion into new international markets creates the need for efficient, accurate, and cost-effective translations of many associated documents.  Our highly regarded medical device translation services deliver the high quality needed through total dedication to excellent service, specialized native translators, effective translation project management, and ISO 9001:2015-certified quality control processes.